Now the ash has settled on the explosive disappointment of the non-weekend in Edinburgh, I’ve had time to formulate some killer moves in my road to a better, healthier Dan love-free future. 2 – Invest in some stellar self help books that will help me get to know and understand the squalling mess that is Magdeline Adams a little better. I’ve always poo poo-ed self books as silly didactic rubbish – but they have to be up on the best seller lists for some reason haven’t they? 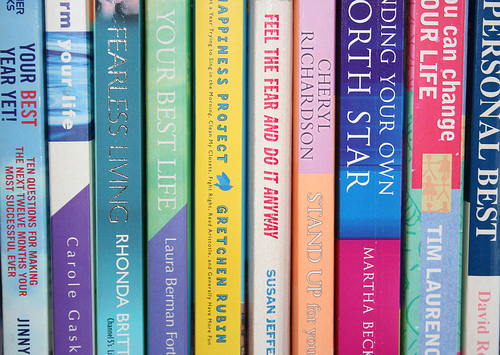 I’m starting with ‘Power of Now’ – look’s interesting and Oprah liked it – how wrong could it be?! 3 – Treat myself a little more. The struggle to earn and eat and pretend that I’ve still got an acting career buried under a rock somewhere leaves very little time for me to actually do stuff I want to do. This comes the ambition to take myself out for a date every week. Who needs men anyway. 4 – Who needs men indeed – but maybe the pursuit of a new one would help me forget the old? Hence comes plan sub section 5 – open myself out to prospect that one day, somehow, I might actually allow myself to love someone who is not Dan Burke. The first step of this is to try out internet dating. I’ve always balked at it in the past – but new me, new rules. So there we have it – a fabulous five step plan. I’m aware that cutting Dan out of my life isn’t the friendliest move. I’m one of his closest friends and I plan to remove myself without explanation. It’s not his fault I feel the way he doesn’t after all. So here – where he will never read it – is an apology. Who knows – maybe one day I’ll tell him about this blog and he’ll sift through all the pseudonyms and read the story I was always too scared to tell him. I’m sorry Dan – I’m sorry for needing to be selfish and sacrificing our friendship to move me past this point in my life. I’ve got stuck here – and that in no way is your fault – apart from you having the audacity to be as gorgeous as you are of course. I wish things were different – I wish you loved me like I love you, or I wish I could look into your eyes and see only the fantastic friend you are instead of all the things you are not. I hope one day I’ll become unstuck and we can be friends again. I’m doing this now, because I need to but also because you’re happy and I’m hoping you won’t need me for a while. If you do ever need me I hope I’ll be strong enough to offer what you need, and if I’m not and I have to pull away then too – well then I’m sorry for that as well.